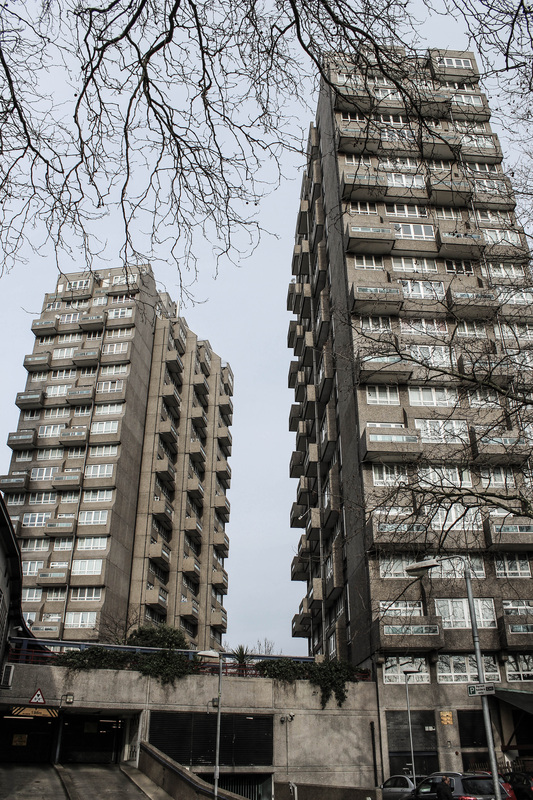 For some a classic, for others an ugly blight on the landscape. 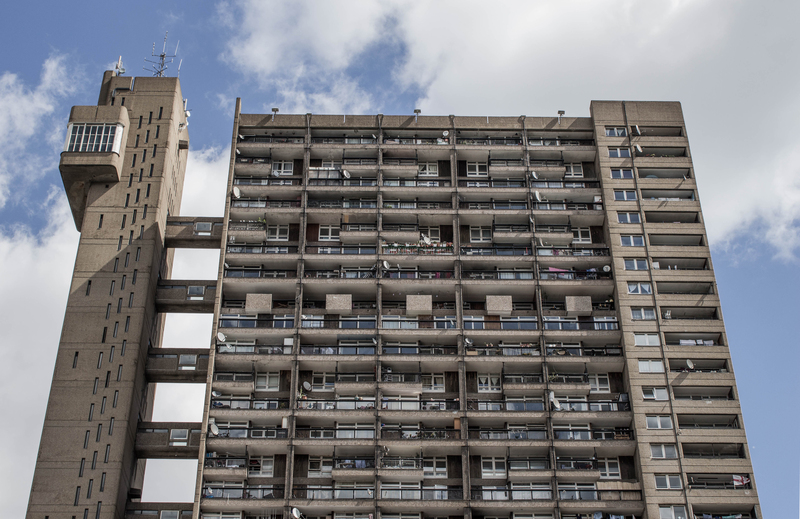 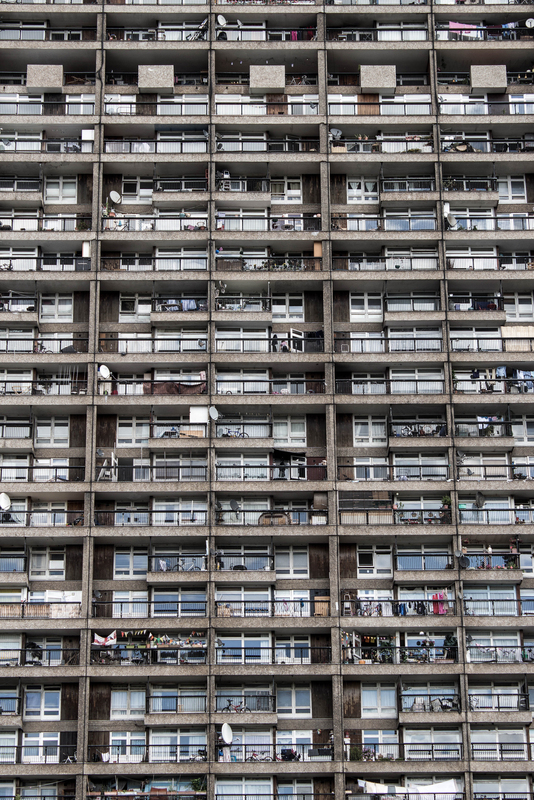 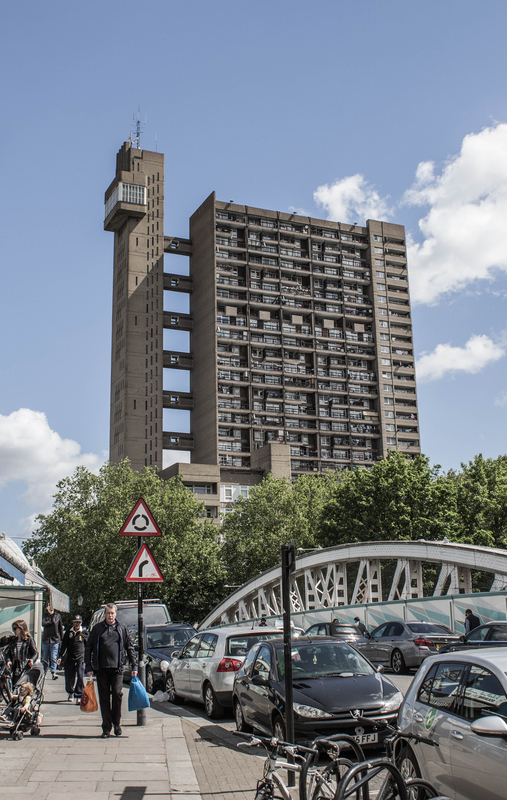 Trellick Tower is an embodiment of the modernist tenet of ‘form follows function’, with each aspect of its distinctive shape determined by the requirements of the people living within. 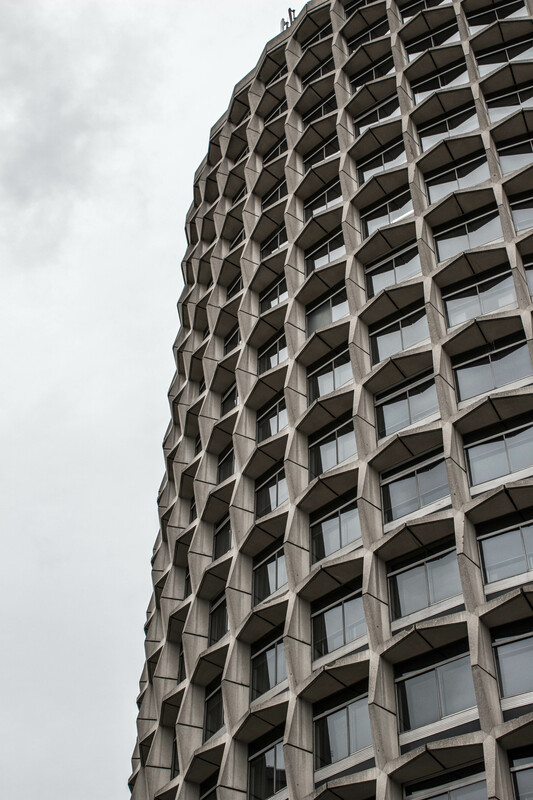 The main block of the 31 storey tower takes the form of thin slab, enabling all apartments to have windows on either side of the building, giving fantastic views of the city to all residents. 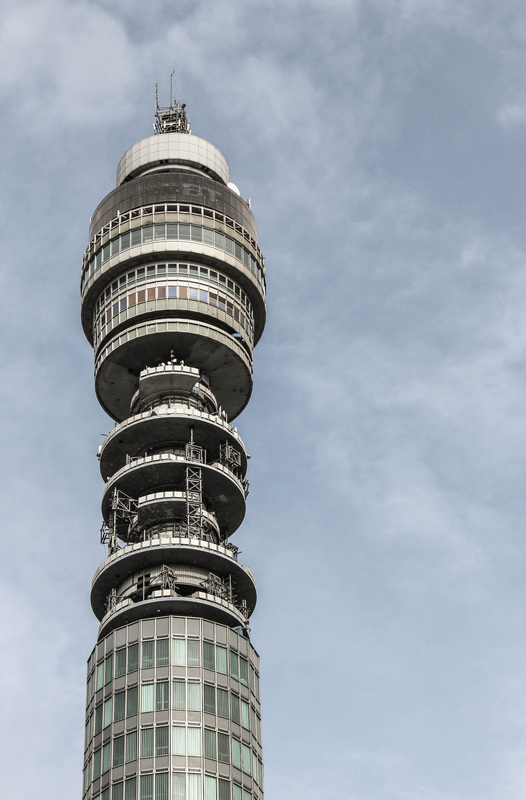 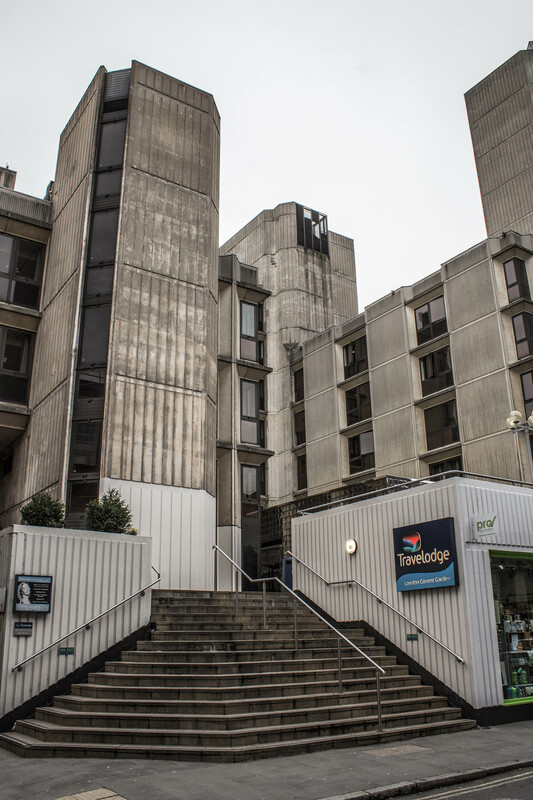 Noisy and potentially smelly amenities – lifts, stairs, launderettes and rubbish chute – are located in a separate service tower which is crowned by the boiler room. 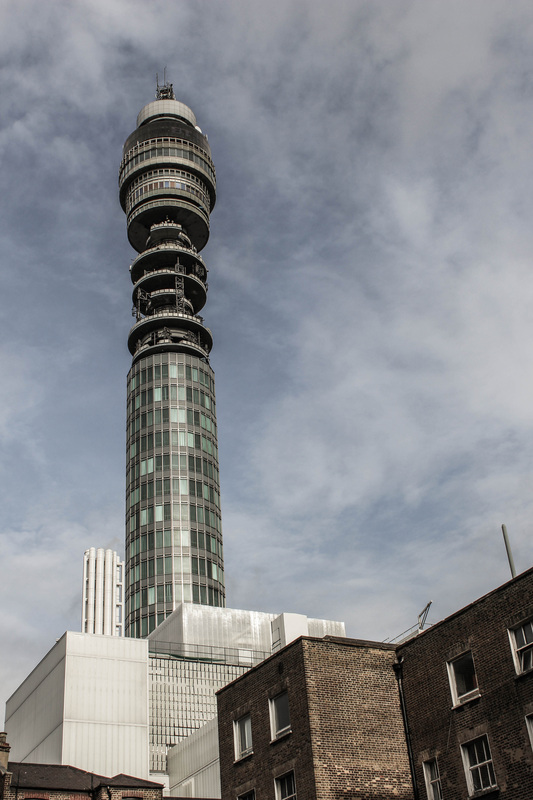 The service tower is connected to the main slab by glazed walkways at every third floor to ensure a speedy lift service. 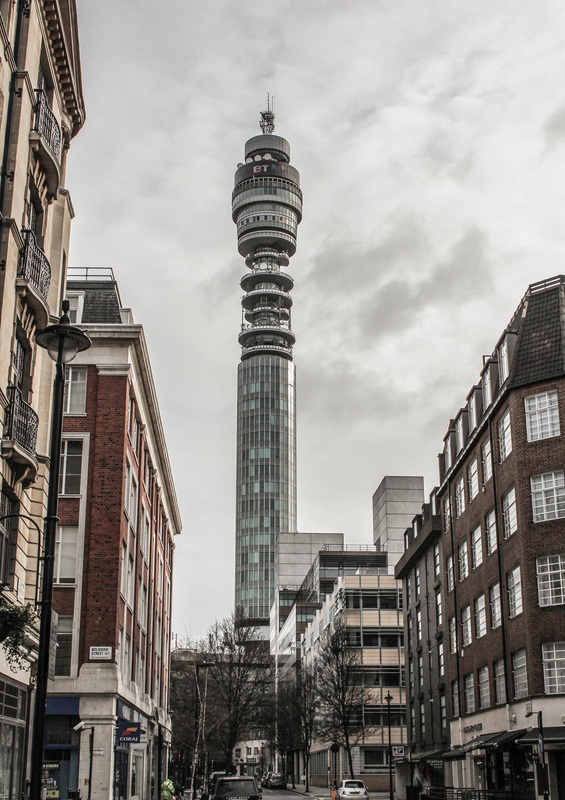 On the ground floor there is a doctors surgery, shops, and a bookies. 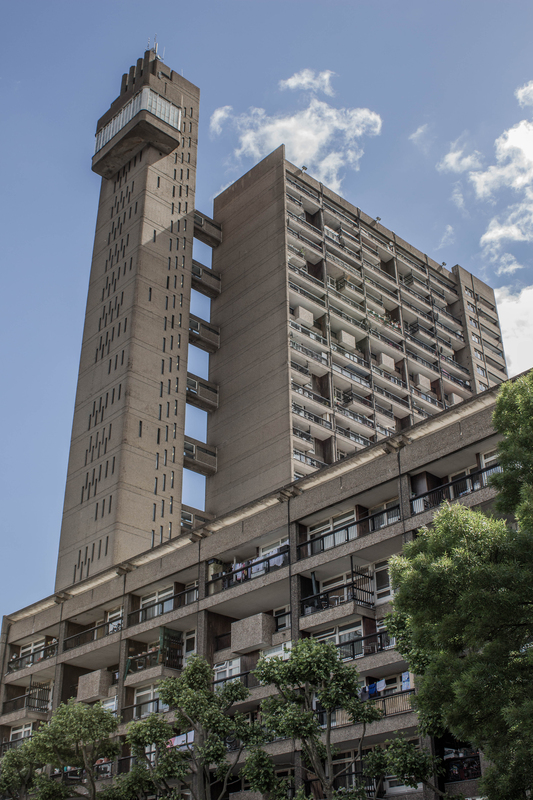 The tower is constructed primarily of in situ cast concrete, with a sandy colour and a rather coarse aggregate. 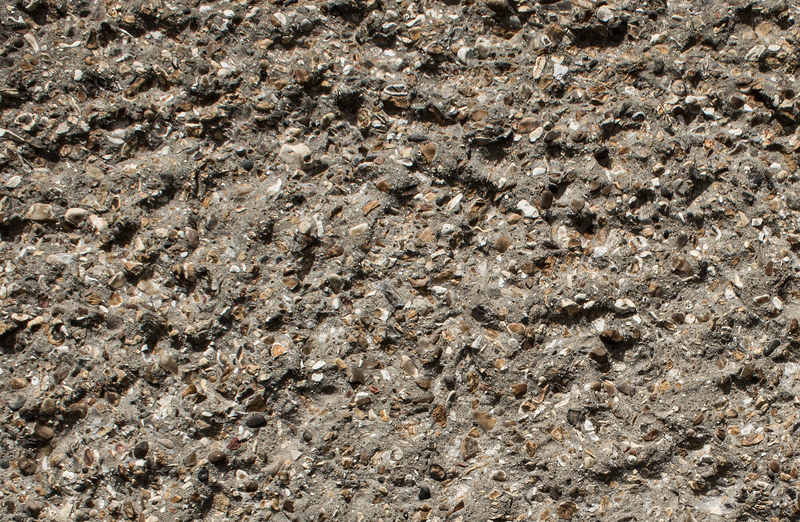 The bush hammered finish gives a rough texture which adds to the uncompromising feel of the building. 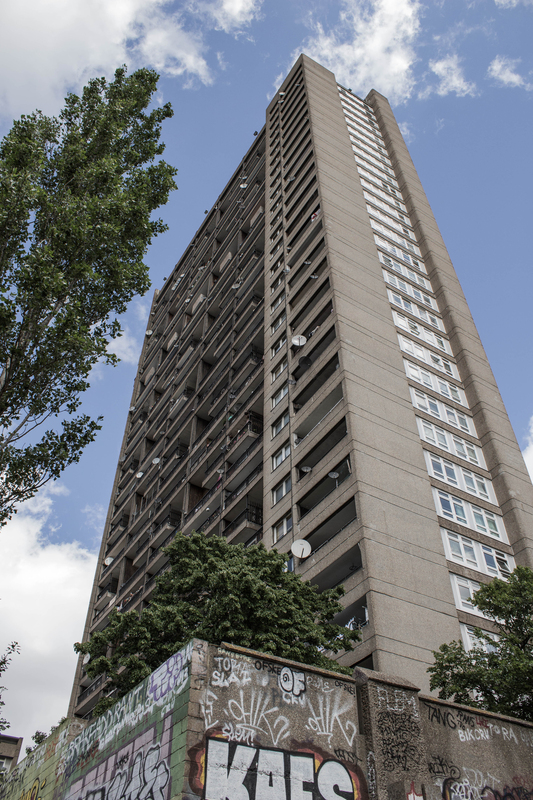 It was a beautiful day when I visited, the sun was shining and everyone seemed happy. 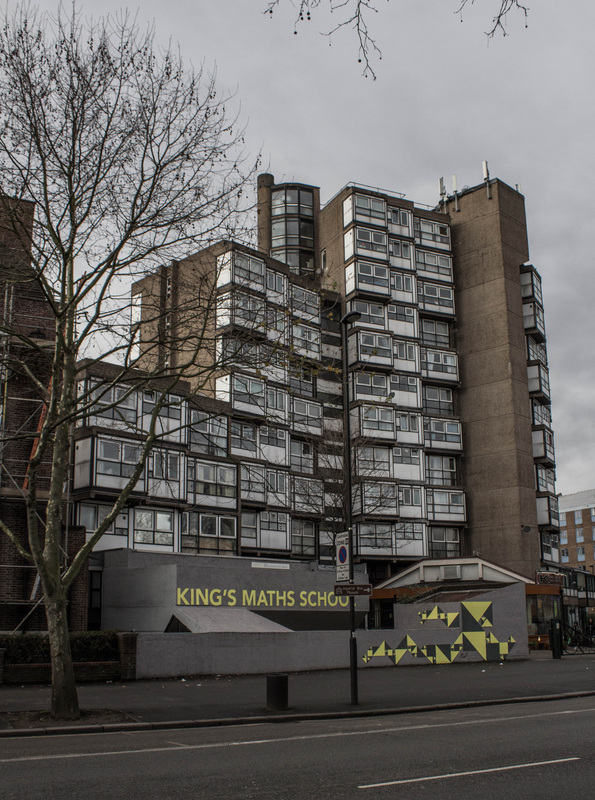 Two young men answered questions from a tourist as they topped up a nearby graffiti wall (I’m assuming it was all legit). 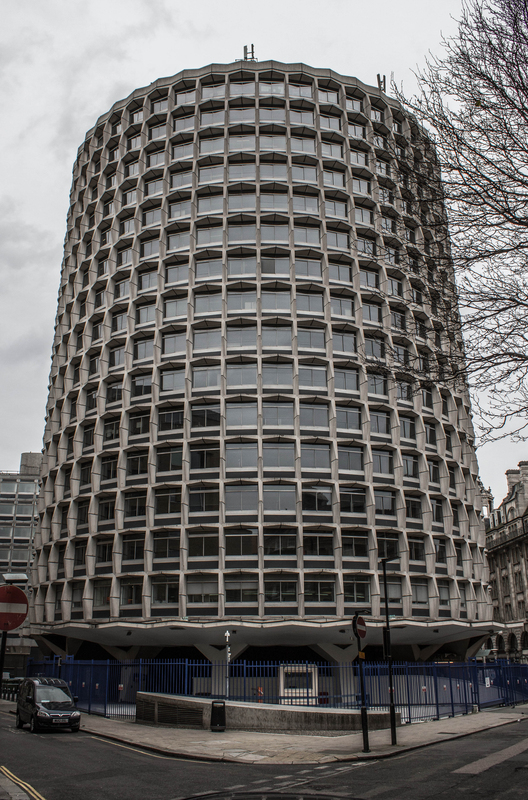 One chap proudly told me that the building I was photographing was very famous, one woman even offered to pose for some shots on her mobility scooter. 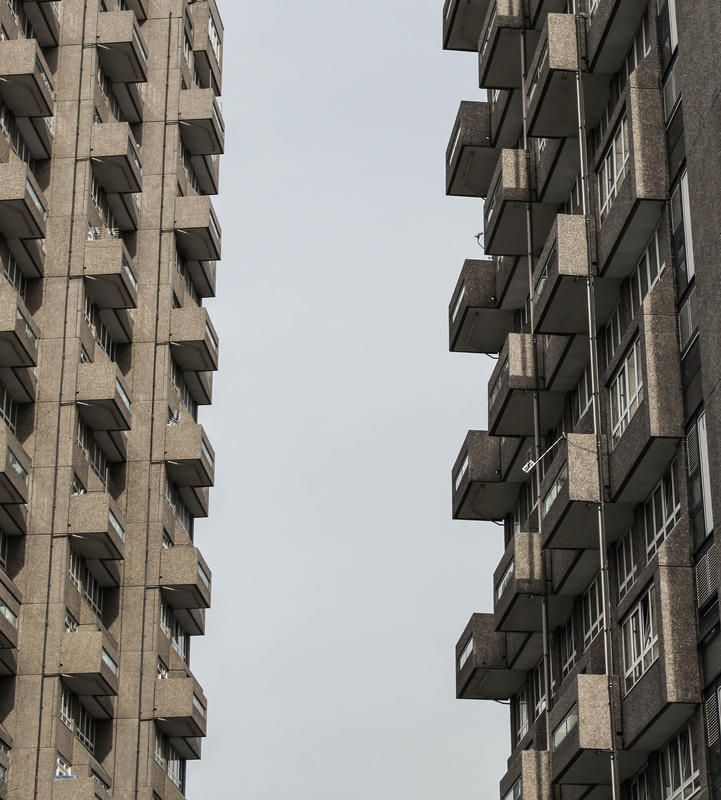 You get the sense that there is a great community spirit around the place. 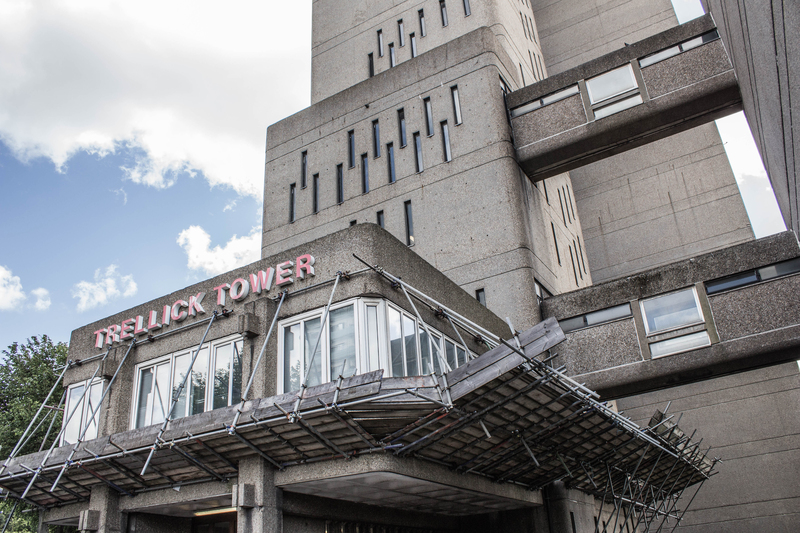 Trellick Tower was grade II* listed in 2008, the listing can be found here. 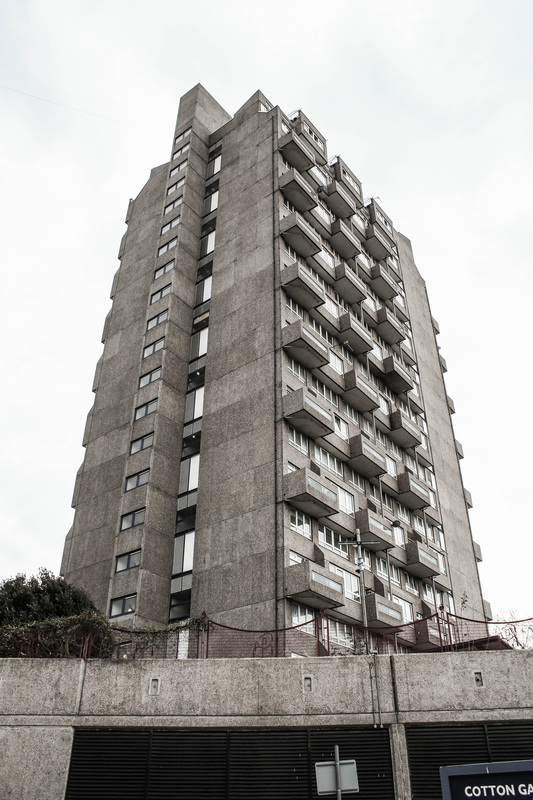 The building is the subject of an episode of the BBC series which can be viewed here. 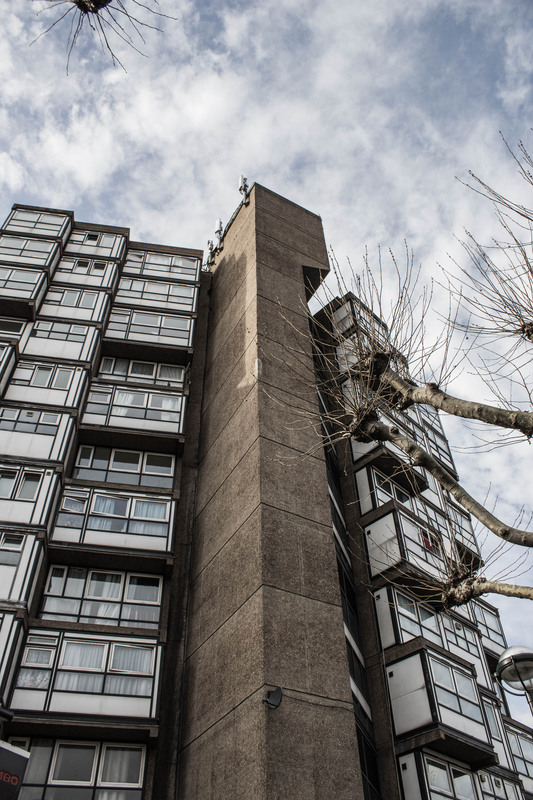 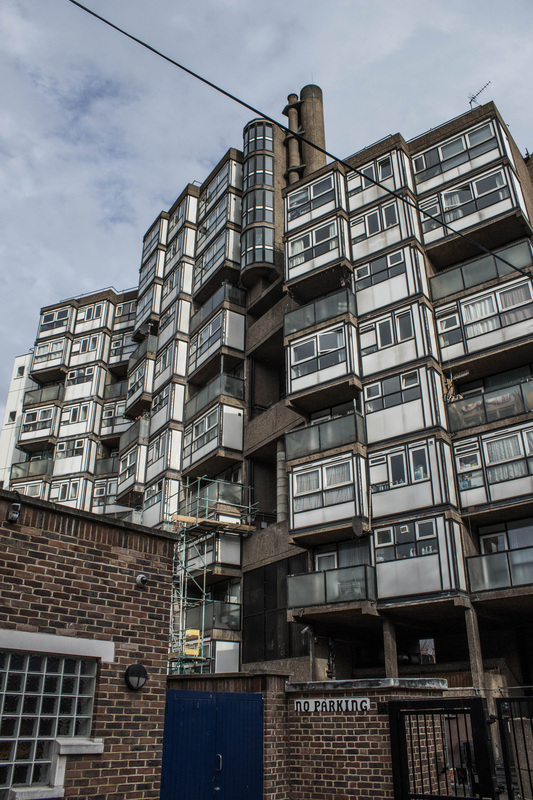 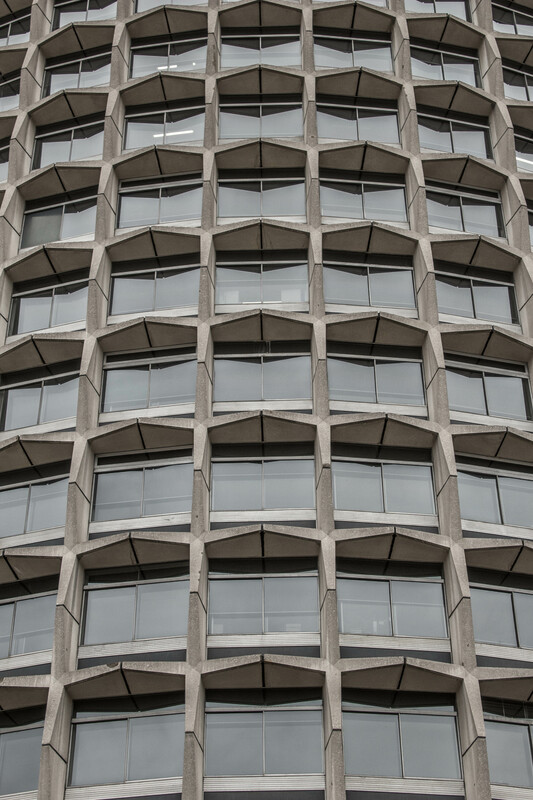 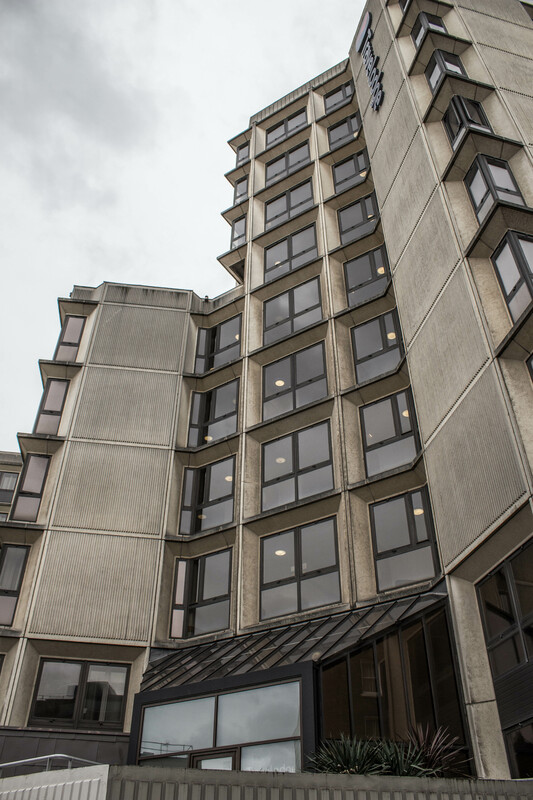 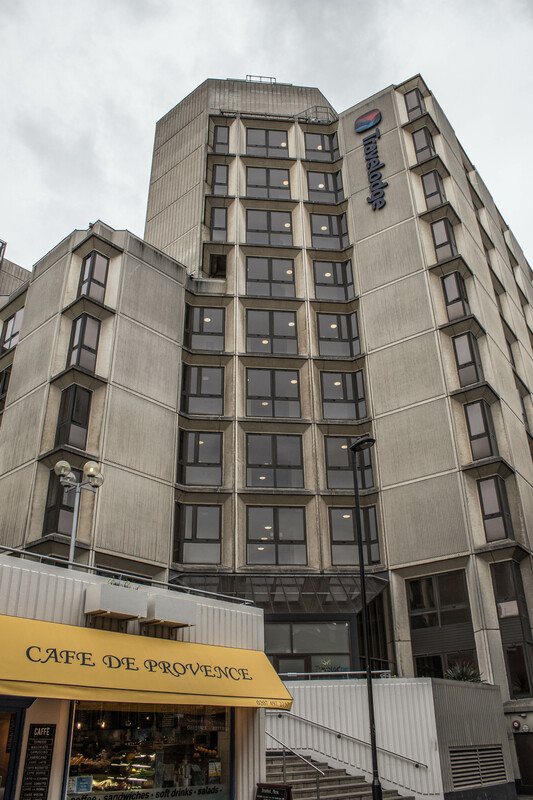 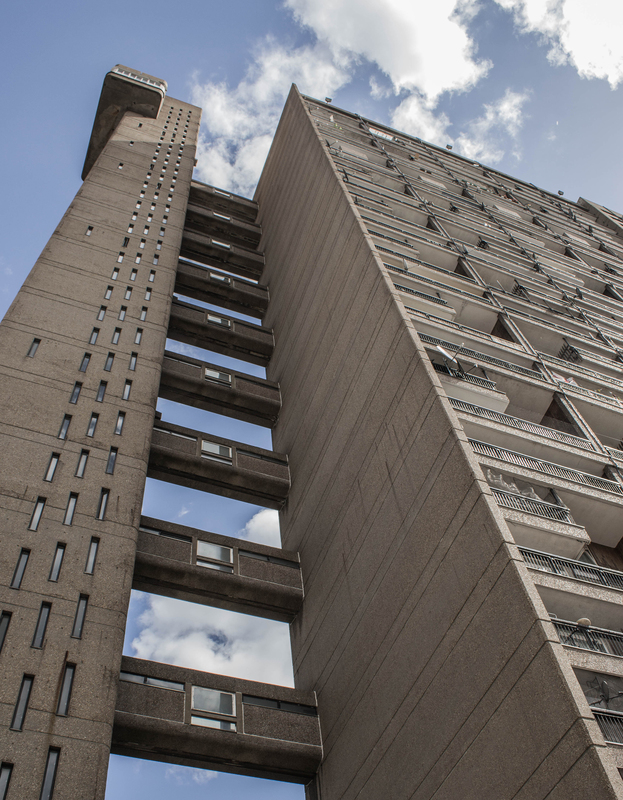 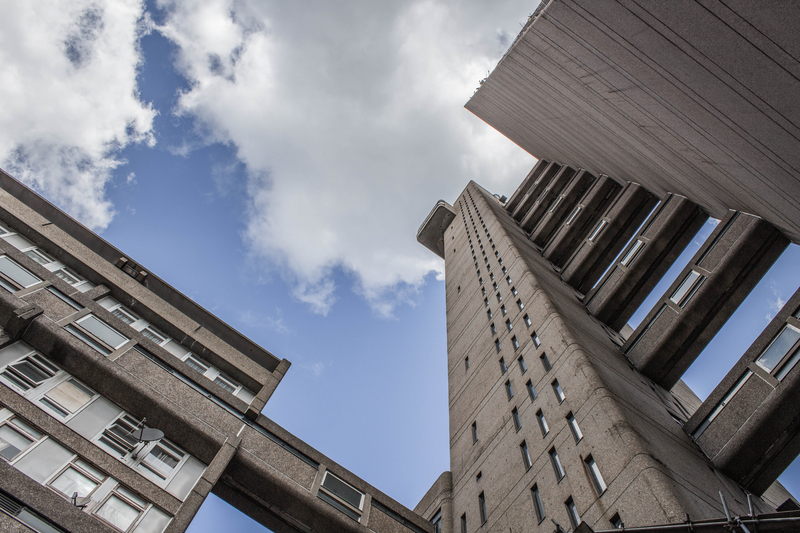 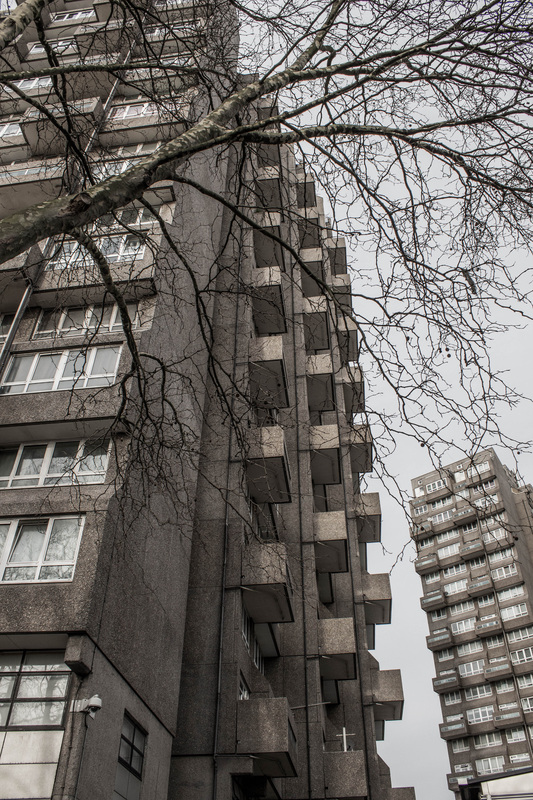 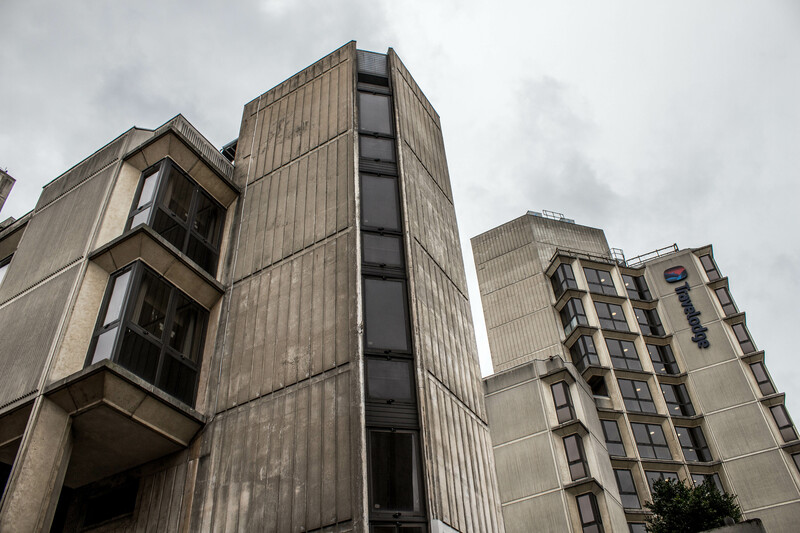 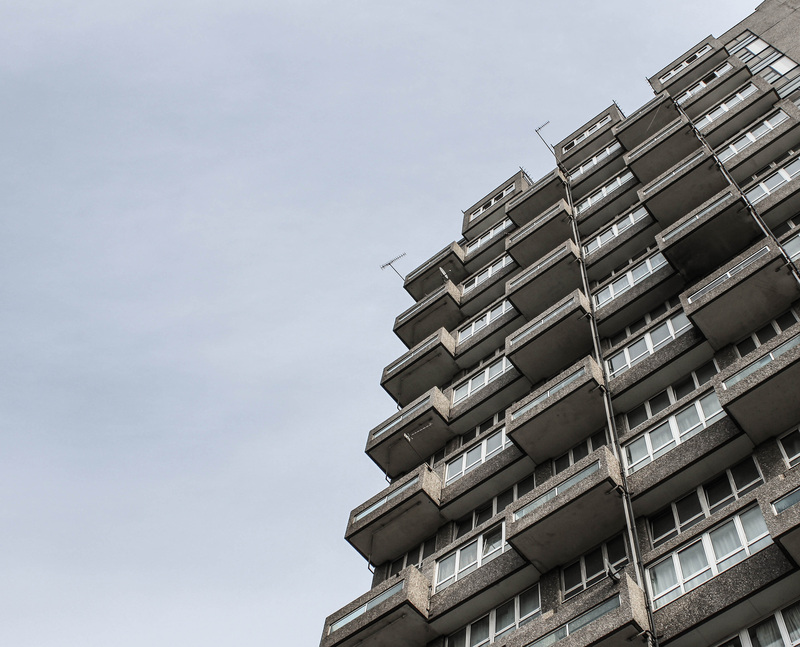 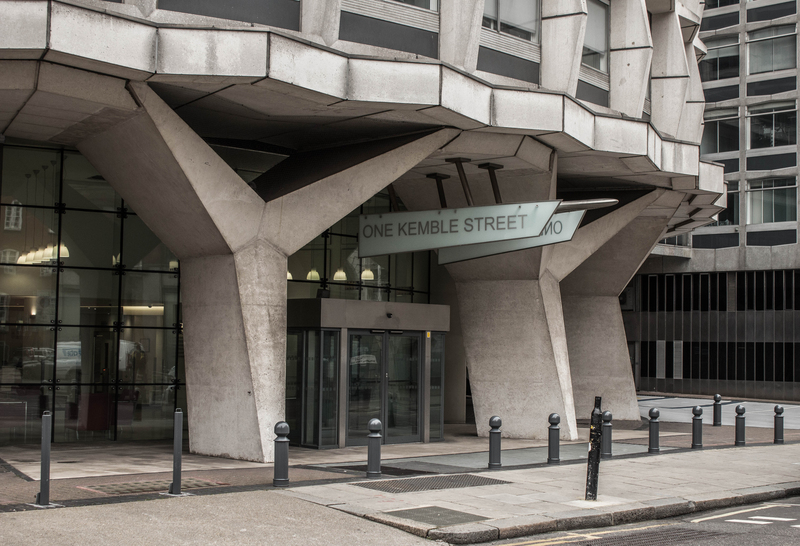 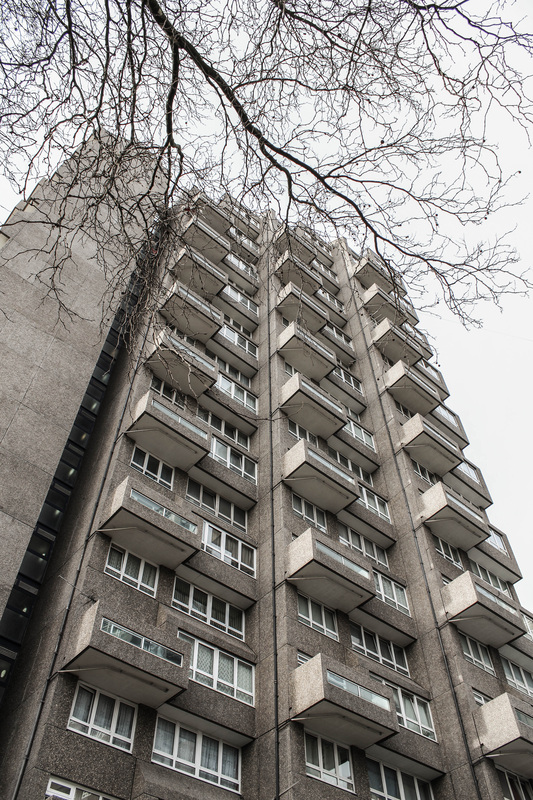 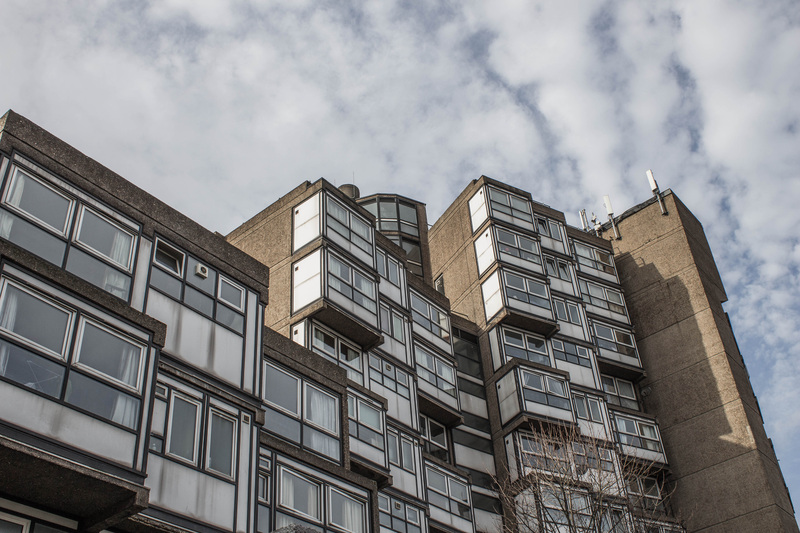 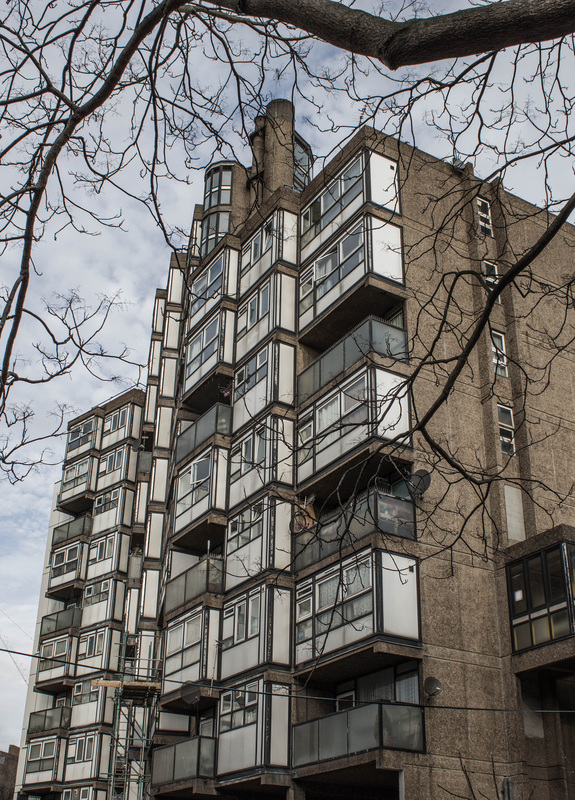 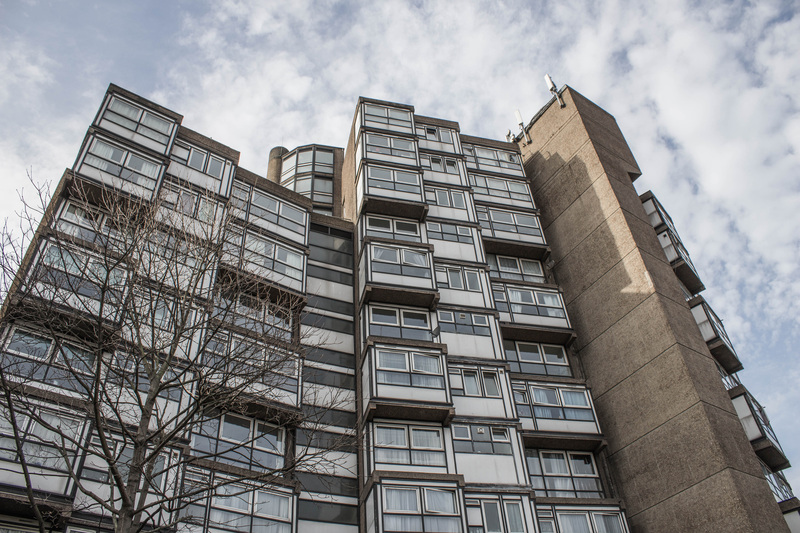 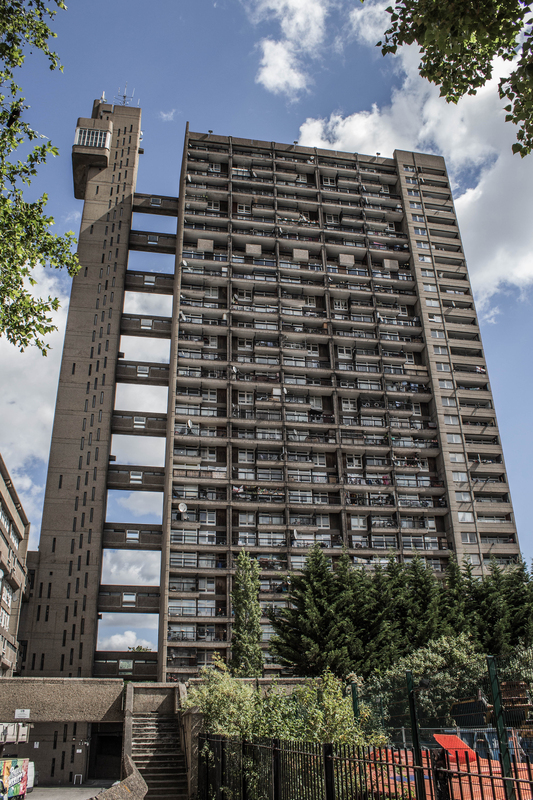 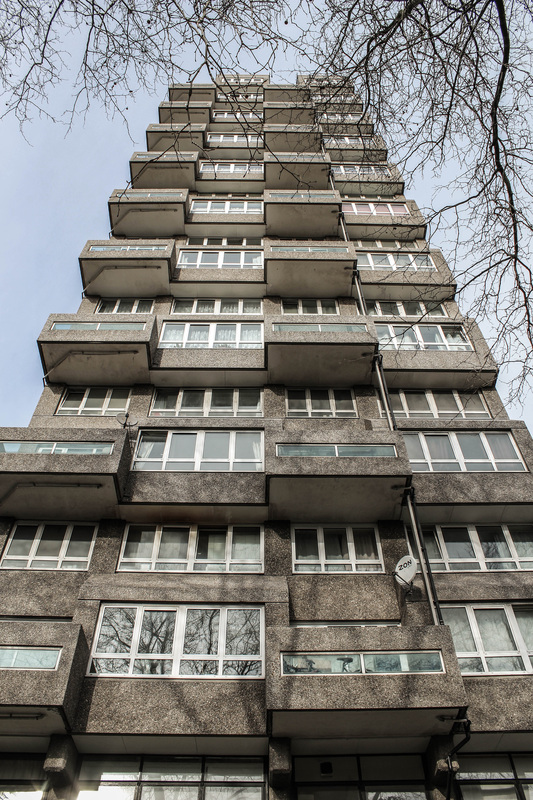 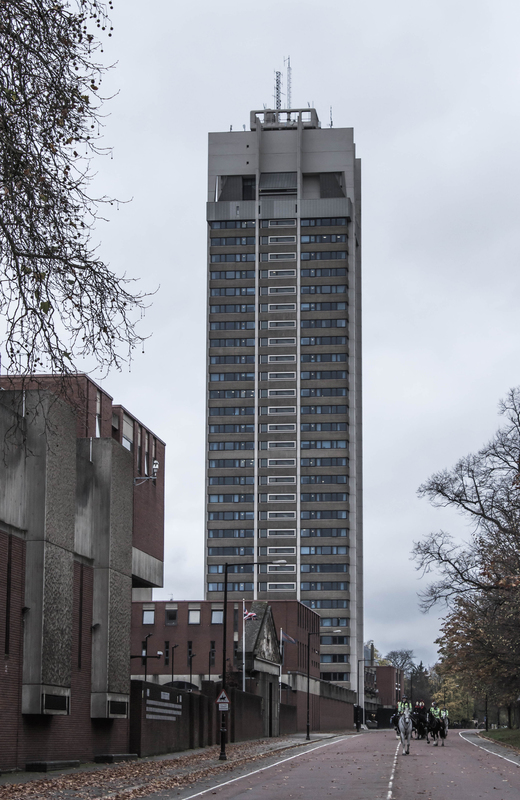 This entry was posted in London and tagged apartment, Architecture, brutalism, brutalist, concrete, goldfinger, Tower on June 14, 2015 by Andrew Garford Moore.